Alexandria Ocasio-Cortez was trying to explain to me that the world is going to melt, we are all doing to die, and probably we shouldn’t be having any more children, but I was distracted by the dinner she was preparing on camera. She was carefully cutting sweet potatoes before putting them in the oven. She put salt and pepper on them. Salt was once so rare that it was regarded as money. Ever try to go a day with zero salt? Nothing tastes right. That was the history of humanity for about 150,000 years. Then we figured out how to produce and distribute salt to every table in the world. Now we throw around salt like it is nothing, and even complain that everything is too salty. Nice problem. Sweet potatoes are not easy to cut, so she was using a large steel knife, made of a substance that only became commercially viable in the late 19th century. It took generations of metallurgists to figure out how to make steel reliably and affordably. Before steel, there were bodies of water you could not cross without a boat because no one knew how to make an iron bridge that wouldn’t sink. As for the oven in her apartment, it was either gas-powered or electric. In either case, she didn’t have to chop down trees and build a fire, like 99.99 percent of humanity had to until relatively recently. She merely pushed a button and it came on, a luxury experienced by most American households only after World War II. Now we all think it is normal. I also presume that her house is warm in the dead of winter and that this is due to indoor thermostatically controlled heat. There are still people alive today who regard this invention as the greatest in the whole course of their lives. They no longer had to work two days to heat a house for one day. Again, one only needs to push a button and, like magic, the warmth comes to you. The more interesting question is where she obtained those sweet potatoes. The store, I know. No one grows sweet potatoes in Washington, D.C. But where did the store get them? For many thousands of years, the sweet potato was trapped in distant places in South America; it somehow made its way on boat travels to the Polynesian islands, and finally landed in Japan by the late 15th century. Only once boating technology and capital expenditure for exploration grew to reveal the first signs of prosperity for the masses of people did the sweet potato make it to Europe via an expedition led by Christopher Columbus. Finally, it came to the U.S. But this took many thousands of years of development — capitalistic development — unless you want to see this root vegetable as the ultimate fruit of colonialism and thus to be eschewed by any truly enlightened social justice warrior. Even early in the 20th century, sweet potatoes were not reliably available for anyone to chop up and bake, especially not in the dead of winter. Today Americans eat sweet potatoes grown mostly in the American South but also imported from China, which today serves 67 percent of the global sweet potato market. How do we obtain them? They are flown on planes, shipped on gas-powered ocean liners, and brought to the store via shipping trucks that also run on fossil fuels. If you are playing with the idea of abolishing all those things by legislative fiat, as she certainly is, it is not likely that you are going to obtain a sweet potato on the fly. I admit the following. It drives me crazy to see people so fully enjoying the benefits from private property, trade, technology, and capitalistic endeavor even as they blithely propose to truncate dramatically the very rights that bring them such material joy, without a thought as to how their ideology might dramatically affect the future of mass availability of wealth that these ideologues so casually take for granted. To me, it’s like watching a person on IV denounce modern medicine — or a person using a smartphone to broadcast to the world an urgent message calling for an end to economic development. It doesn’t refute their point, but the performative contradiction is too acute not to note, at least in passing. Now to this question about whether there should or should not be a new generation of human beings. After all, she points out, no one can afford them anymore because young people are starting careers tens of thousands of dollars in debt from student loans. She says there is also the moral issue that we need to take care of the kids who are already here rather than having more. Truth is, she doesn’t really explain well why she is toying with the idea that it is a bad idea that people have kids. Let me suggest that it is possible that she is drifting toward the path of countless environmentalists before her and finally saying outright what many people believe in their hearts: humankind is the enemy. Either we live and nature dies, or nature lives and we die. There must be some dramatic upheaval in the way we structure society to find a new way. It’s the application of the Marxian conflict fable to another area of life. In any case, those are big thoughts — too big, really, for a delightful cooking session after which a fancy meal beckons. We’ll get back to what AOC calls the “universal sense of urgency” following dessert. March 4, 2019. Tags: Alexandria Ocasio-Cortez, Capitalism, Climate change, Economics, Environmentalism, Fossil fuels, Global warming, Green New Deal, Politics, salt, Socialism, Sweet Potatoes. Alexandria Ocasio-Cortez, Economics, Environmentalism, Food. Leave a comment. December 17, 2018. Tags: cookie dough, E. coli, Food, Math, Rebecca Watson. Food, Math. Leave a comment. December 10, 2018. Tags: Cereal, Food, generic cereal, Good Mythical Morning, taste test, Videos. Food. Leave a comment. Edy’s (or Dreyer’s, depending on where you live) started selling a line of frozen custard in supermarkets about two and a half years ago. It may have been the best supermarket ice cream I’ve ever had. But recently, it’s no longer available at Giant Eagle (Pittsburgh supermarket chain where I shop) or at Target (which used to have it too). A google search shows that Wal-Mart is always out of stock. I guess they stopped making it. My guess is that some people who had never actually tried it were turned off by the fact that it cost so much more than the brand’s regular line of ice cream. But that cheaper ice cream is all puffed up full of air, which is why it was so cheap, and why I don’t particularly like it. November 2, 2017. Tags: Dreyer's, Edy's, Food, frozen custard, ice cream. Food. Leave a comment. February 21, 2017. 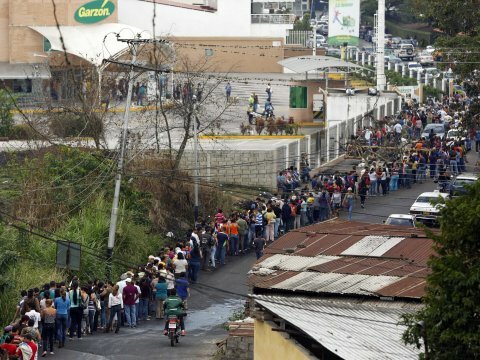 Tags: #AnaquelesVaciosEnVenezuela, Communism, Economics, Empty shelves in Venezuela, Food, Hugo Chavez, Income inequality, Marxism, Military, News, Nicolas Maduro, Police state, Politics, Poverty, Price controls, Social justice, Social justice warriors, Socialism, Twitter, Unions, Venezuela, war against achievement. Communism, Economics, Food, Military, Police state, Politics, Social justice warriors, Venezuela, War against achievement. 4 comments. January 25, 2017. Tags: baking, cookies, Cooking, Food. Food. Leave a comment. September 6, 2016. Tags: baking, biscuits, Cooking, Food, Laina, YouTube. Food. Leave a comment. This happened two years ago, but apparently Kellogg’s just found out about it. I’m certain the company would never knowingly allow peed on cereal to be sold. I hope the person who did this gets prosecuted to the fullest extent of the law. I do not hold this against Kellogg’s. Kellogg’s has confirmed that it’s investigating a worker who urinated on a conveyor belt at one of its factories. The video is believed to have been shot in 2014 and affected Rice Krispies Treats, Rice Krispies Treats cereal and puffed rice cake products. Kellogg’s confirmed that the food that had been affected was past its expiration date meaning that it’s likely people have eaten the contaminated products. The video emerged yesterday on World Star Hip Hop and now Kellogg’s has responded. An official representative wrote on the company’s blog: ‘Kellogg takes this situation very seriously and we were shocked and deeply disappointed by this video that we learned of. We immediately alerted law enforcement authorities and regulators. ‘A criminal investigation is underway as well as a thorough internal investigation. ‘Our investigation revealed that the video was recorded at our Memphis, TN facility, in 2014. Products that could have been potentially affected were Rice Krispies Treats, Rice Krispies Treats cereal and puffed rice cake products, all of which would be past expiration date. March 15, 2016. Tags: Food, Kellogg’s, News. Food. Leave a comment. I agree with the woman in this video. I tried this stuff and it’s great. October 23, 2015. Tags: Food, halloween, Milk, Orange, TruMoo, TruMoo Orange Scream Milk. Food, Holidays. Leave a comment. April 8, 2015. Tags: Animals, Beef, Competitive eating, Food, Humor, Steak. Animals, Food, Humor. Leave a comment. March 21, 2015. Tags: Art, Cake, Cake recipes, colors, Cooking, Food, Math, Rainbows, Recipes. Art and sculpture, Food, Math. 2 comments. The Venezuelan military has troops stationed in supermarkets, and they are telling customers not to take pictures of empty shelves. But that hasn’t stopped people from doing it. During the first week of 2015, the Twitter hashtag #AnaquelesVaciosEnVenezuela (“Empty shelves in Venezuela”) listed more than 200,000 tweets. January 10, 2015. 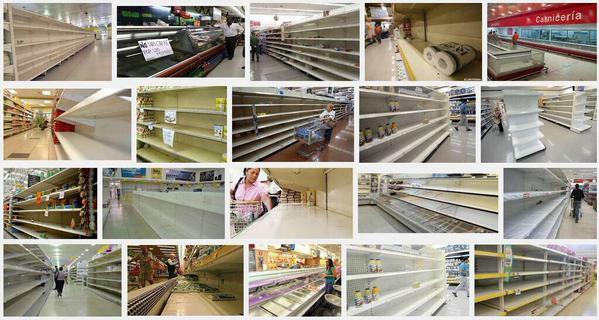 Tags: #AnaquelesVaciosEnVenezuela, Communism, Economics, Empty shelves in Venezuela, Food, Hugo Chavez, Income inequality, Marxism, Military, News, Nicolas Maduro, Police state, Political correctness, Politics, Poverty, Price controls, Social justice, Socialism, Twitter, Unions, Venezuela. Communism, Economics, Food, Military, Police state, Political correctness, Politics, Venezuela. 3 comments. Good Mythical Morning! May I have the pleasure of introducing you to my favorite YouTube channel? These two guys have been best friends since first grade. They both have engineering degrees, but both quit that field to work full time on their videos. They grew up in North Carolina, but recently moved to Los Angeles. Every weekday at 6 A.M. they put up a new 12 minute video – and they have hundreds of them going back a few years. August 15, 2014. Tags: Animals, Food, Good Mythical Morning, Humor, Science, Videos, YouTube. Animals, Food, Humor, Science, Television. Leave a comment. Poll: Do you agree or disagree with McDonald’s claim that its own food is an “unhealthy choice”? It seems that McDonald’s has finally realized how tone-deaf its internal employee resource website was. It has shut it down. The final straw? A tip on the site to employees to avoid McDonald’s fare. December 26, 2013. Tags: Fast food, Food, Health, Healthy food, Junk food, McDonald's, Polls. Food, Polls. Leave a comment. Why do people use the word “salad” when what they really mean is “mayonnaise”? This is from the season 4 episode of “Roseanne” called “Stressed to Kill.” The relevant part starts at 14:28. August 17, 2013. Tags: Food, Humor, Language, mayonnaise, Roseanne, Salad, Television, TV, Words. Food, Humor, Television. Leave a comment. Barack Obama is a serial liar, which I have shown in Here are 226 examples of Barack Obama’s lying, lawbreaking, corruption, cronyism, etc. But when a cereal maker tells the truth, Obama tells it to stop telling the truth. However, even though this claim is true and accurate, the Obama administration ordered General Mills, the maker of Cheerios, to stop making this claim in its commercials. August 4, 2013. Tags: Advertising, Alternative medicine, Barack Obama, Censorship, Cereal, Cheerios, Cholesterol, Commercials, Food, General Mills, Health care, Health food, Obama, Obamacare, Police state, Politics, Science, Television, TV, TV commercials, Vegetarianism, Whole grains. Barack Obama, Food, Health care, Police state, Science. Leave a comment. Recently, Huffington Post published an article about how easy it would supposedly be for McDonald’s to pay its’ employees $15 an hour. Soon afterward, they took the original article down, and replaced it with this article, which admits that the original article had been wrong. But I knew they were wrong before they admitted it. Having read the original article, one thing I noticed was that it wrongly assumed that the demand for McDonald’s food would not go down, even though the article did say that there would have been an increase in the prices that customers paid. In the real world, people respond to incentives. When the price of something goes up, the demand for that something does down. If it were possible for McDonald’s to pay $15 an hour, I would think that some liberal somewhere would have already purchased a franchise and paid the workers $15 an hour. Critics of McDonald’s complain that you can’t raise a family on what McDonald’s pays. They cite various examples of people trying to raise children on what McDonald’s pays. But this misses the point. I have always viewed a McDonald’s job as something for a young person who is till in school, and still living with their parents. A high school student who wants to earn money for the prom, for example. I was raised to believe that you are not supposed to have your first child until after you have obtained a good education, gotten a decent paying job, and gotten married. The fact that unmarried high school dropouts are having trouble raising their children on a McDonald’s salary is not the fault of McDonald’s. Instead, it is the fault of the two people who chose to drop out of high school and make a baby out of wedlock. Apparently, McDonald’s critics don’t seem to understand why McDonald’s pays much higher wages to its accountants, computer programmers, and lawyers, than it does to its burger flippers and cashiers. What these critics don’t seem to understand is that these people who receive higher wages get those higher wages because they chose to put in the time and effort to acquire better education and better job skills. If these critics want McDonald’s burger flippers and cashiers to earn more money, then instead of suggesting the totally unrealistic idea of McDonald’s paying them $15 an hour, I suggest that these critics do more to teach people about the concepts of long term planning and delayed gratification. August 2, 2013. Tags: Delayed gratification, Economics, Education, Food, Huffington Post, Income inequality, Living wage, McDonald's, Minimum wage, Politics, Poverty. Economics, Education, Food, Politics. 2 comments. I’m a vegetarian. I view it as a personal choice, and I never tell anyone else what to eat or not eat. When I see a live bird, I don’t think of it as being food. A dog or a cat does see it as food, which is why they they chase them, kill them, and eat them. But cows – I always thought cows were vegetarians. And I still think they are. But I guess the label isn’t always 100% accurate. June 20, 2013. Tags: Animals, Chickens, Cows, Food, Science, Vegetarianism, Vegetarians, YouTube. Animals, Food, Science. Leave a comment. Ewww! Hawaiian Punch has switched to using sucralose. Hawaiian Punch has switched to using sucralose. July 8, 2012. Tags: Artificial sweetener, Food, Hawaiian punch, High fructose corn syrup, Soft drinks, Sucralose, Sugar. Food. 11 comments.